Learn about water safety while having fun! Our Toddler and Kids swimming lessons are optimal for learning to swim faster than group lessons because the student receives 1-on-1 specialized instruction that is tailored to their skill level and ability. 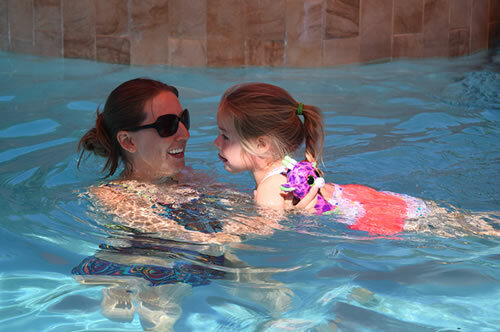 In our multiple consecutive-day 20- or 30-minute private lesson format, students will improve their strokes and learn to swim after just five lessons. Each day the student improves dramatically! If you’re tired of group lessons and want to invest in the success of your child, we’re the right school for you! They get deep-water exposure in order to create a powerful foundation for water safety. As they overcome their fear, they learn to enjoy the water!